As many of the my US readers will no doubt be aware, America’s foremost crime writing awards, the annual Mystery Writers of America Edgar Allan Poe Awards, will be presented on April 28. The upcoming awards make it an opportune time to revisit the winner of the Edgar Award in 1954. That book was called Beat Not the Bones, and it was written not by an American but by an Adelaide-born woman called Geraldine Halls, writing under the pseudonym, Charlotte Jay. That the winner the next year was Raymond Chandler’s The Long Goodbye, gives you some idea how prestigious Halls’ win was. Why some writers and their books go onto achieve lasting literary fame, while others, in this case Halls and her considerable work, sink into obscurity, always fascinates me. In a writing career stretching from 1951 to her last published novel in 1995, she produced fifteen books. Seven of these appeared under the pseudonym of Jay, her maiden name, and seven as Geraldine Halls, Halls being her married name. Another was published under the alias Geraldine Mary Jay. The Melbourne Writers Festival is upon us and I’ve got a a few slots in the program I wanted to pull on your coats about. This coming Wednesday, August 27, I’ll be in conversation with crime writer, Adrian McKinty at St Kilda Library. 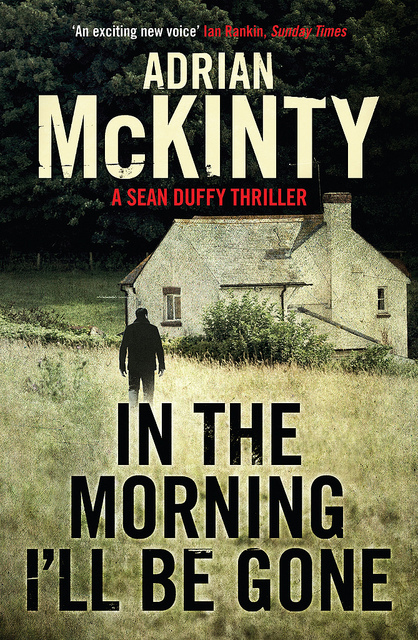 I have written a bit about McKinty on this site, including reviews of his books Falling Glass, and his Shane Duffy trilogy, The Cold, Cold Ground, I Hear the Sirens in the Streets, and In the Morning I’ll Be Gone, and his latest stand alone, The Sun Is God, and I’m looking forward to talking with him in person. It’ll be a pretty relaxed affair and it is free. Proceedings will kick off at 6.30pm. Also, join me on August 30 at the Ian Potter Centre, NGV Australia, Federation Square, for a walk down the dimly lit back alleys of the lost world of Australian pulp paperback publishing. For a few decades in the second half of last century, Australia’s pulp scene burned brightly with tales of jaded gumshoes, valiant servicemen and women, sexually bored housewives, jazzed up beatniks, daring spies, and violent youth gangs.